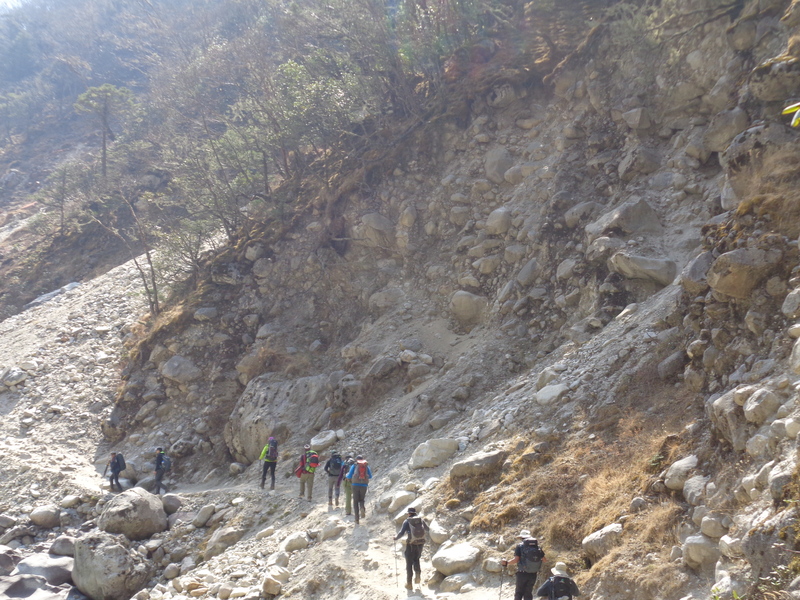 There are some dangerous landslide areas on the Everest trail. 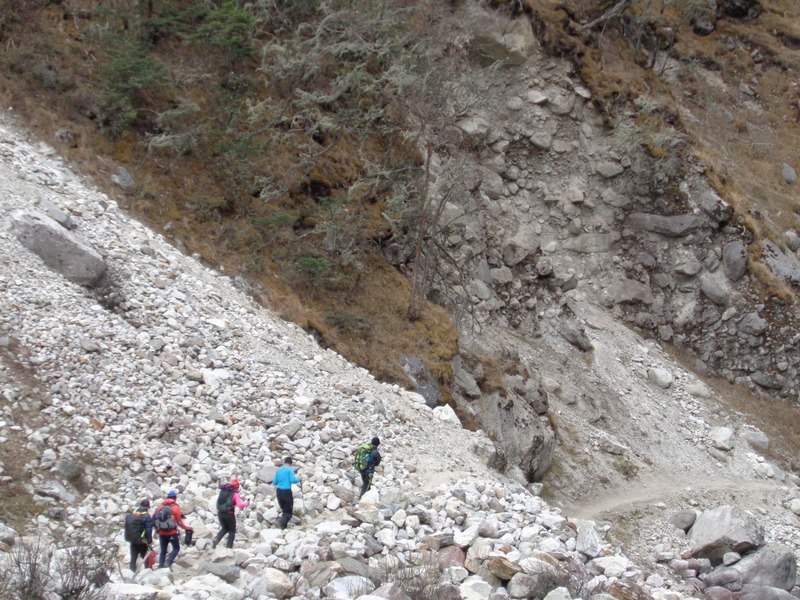 A new bridge in the Everest region this year has limited some exposure to landslides risk but there are other areas and you need to be aware of your Surroundings. 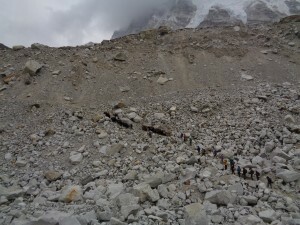 There are real dangers that most people are not aware of on the Everest base camp trek. 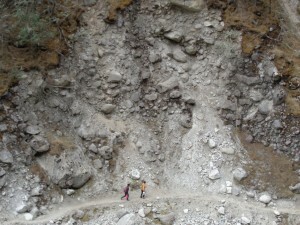 I am going to share some pictures and locations where the risks are on the trail. You will need to be aware of these areas and move through them as quickly as possible and limit the risk to yourself and your group. 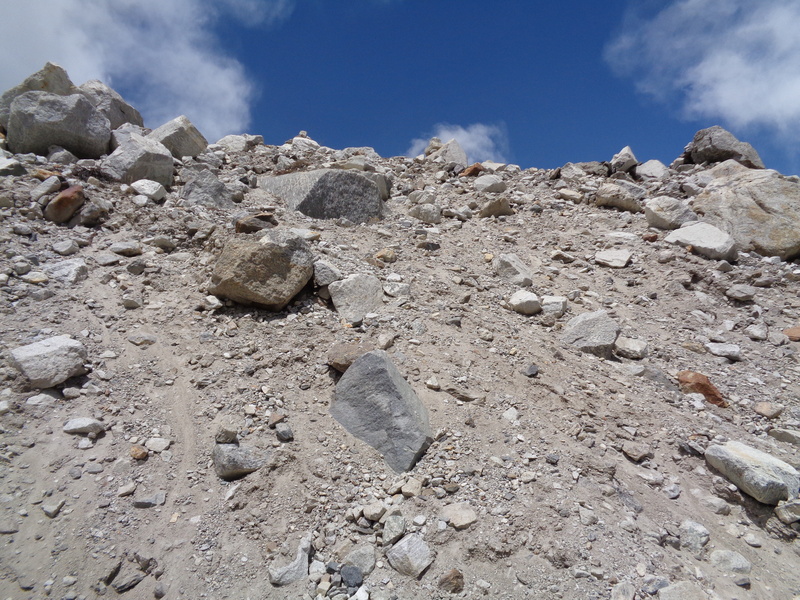 You can see in the picture below, big boulders and loose sand and clay. 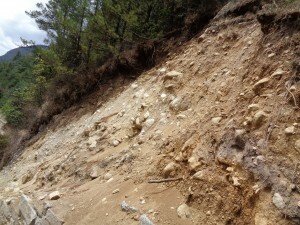 A good few landslides have happened in this region. There are more than a few landslide areas, so always be aware of your position on the trail. 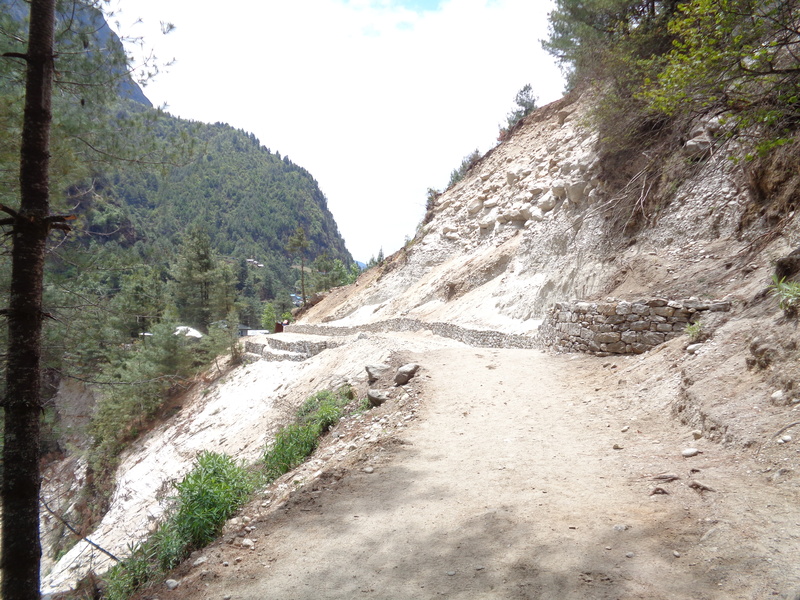 This area is 45 minutes down the trail from Tengbouche. You need to keep to the far right and mountain side of the trail and away from these over hanging areas. 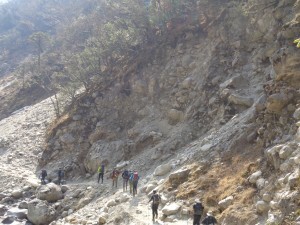 Read more about our top 11 tips while you are on the Everest Base Camp Trek. As you can see this area will fall away very soon. 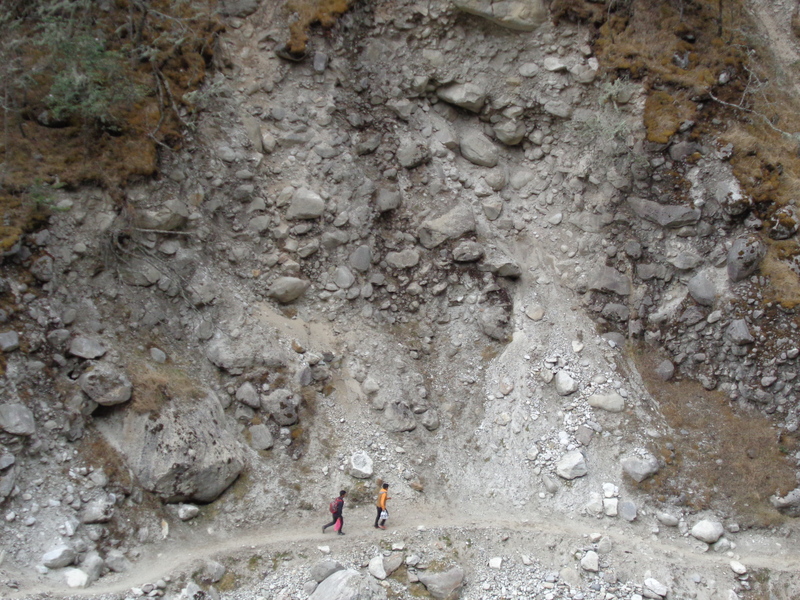 The ground is loose clay with big boulders in the ground and as the water from monsoon season gets in behind the rock it becomes very loose and dangerous and the trail is at risk of disappearing in this location. This area is about 45 minutes out from Tengbouche. You drop down hill, past some housing on the right. 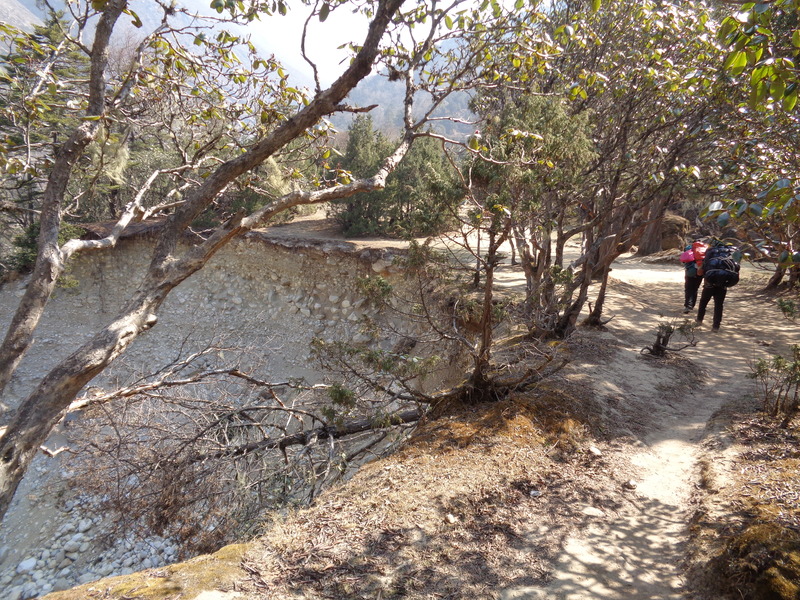 You then come across an old bridge that was taken out by a landslide. This is your WARNING SIGN!! then you pass three dangerous landslide areas of the trail on the right hand side before crossing a small bridge to the left side of the river bank and move towards Pangbouche. 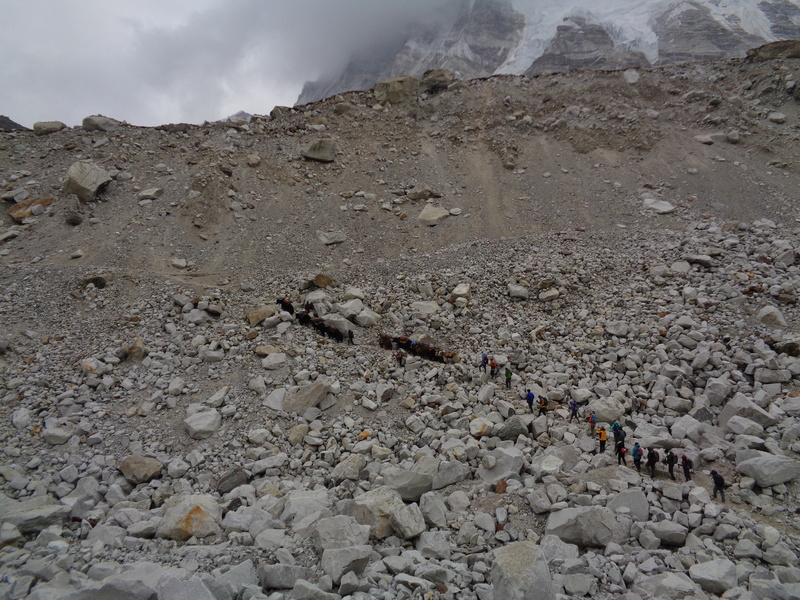 This area is a big risk area on the Everest base camp trail. 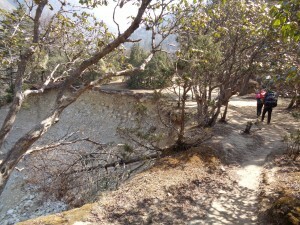 You can see two people moving on the trail. You really need to move at this point and get out of here as quickly as possible. You might not perceive any risk here. I am assure you there is serious danger here. I have seen rocks coming down here on numbers occasions. 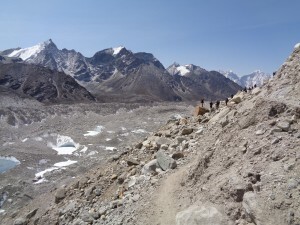 As you walk across glacial moraine and move through different sections of the Everest base camp trail above Lobuche and Gorak Shep on route to Everest you need to be very careful and be aware of many of these risky areas. As you walk underneath this area you need to move fast. 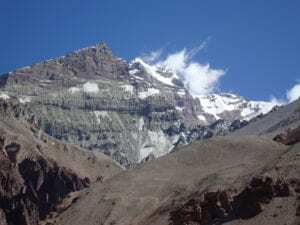 This and other areas like it are close to Everest base camp in between Gorak Shep and base camp. 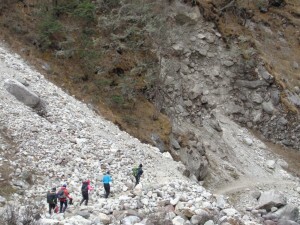 As you walk down from the Everest base camp trail to the glacier you need to be very careful. 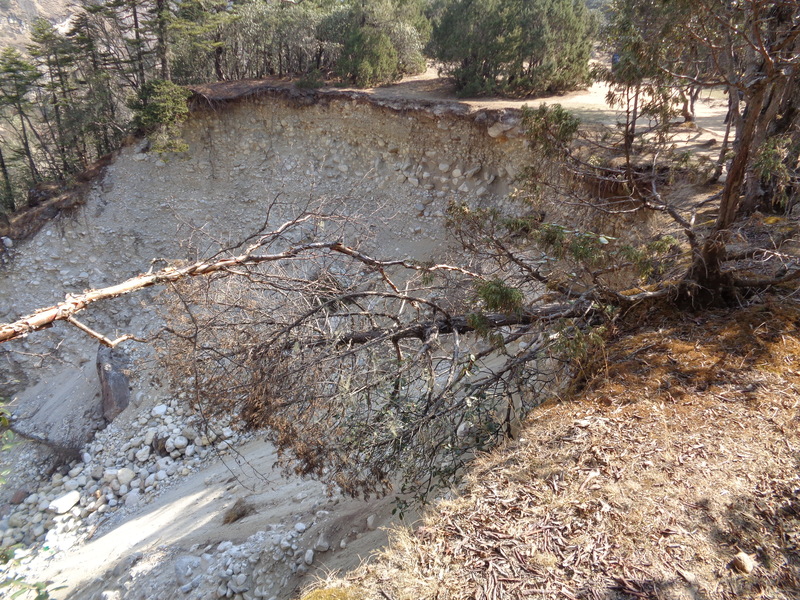 You have to walk down and up this dangerous landslide area. Big boulders tower above you. From here you can see Everest base camp and the place where Trekkers stop and survey Everest base camp and the surrounding area. 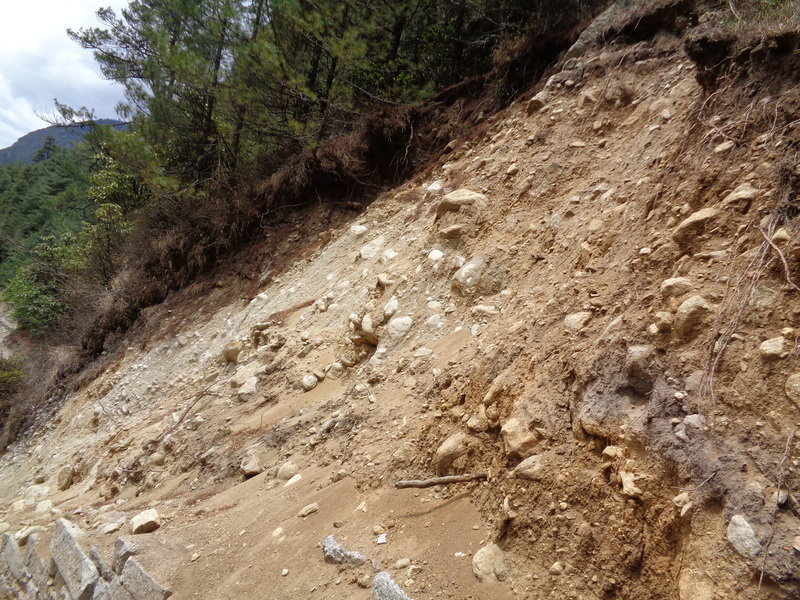 You really need to be very careful walking near and underneath this risky landslide area. 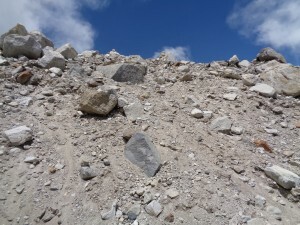 Dangerous Landslide areas on the Everest trail need to be managed correctly and you have a responsibility to be aware of your surroundings and the risk of rock fall in these different areas of the trek to Everest base camp. If you have any questions feel free to contact us at any stage.